Above Right: Austin American-Statesman coverage of bold action & arrest on August 27, 2014. 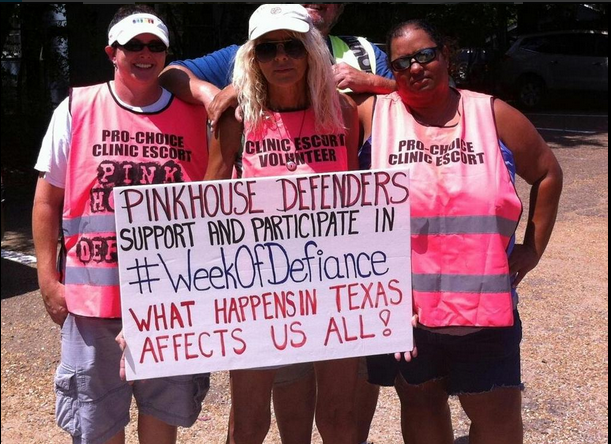 Above Left: A video call to action for a Week of Defiance, including coverage of bold action & arrest on August 13, 2014, from the Abortion Rights Freedom Ride: GROUND ZERO TEXAS. Below Left: A powerful Week of Defiance speak out in Seattle, WA. 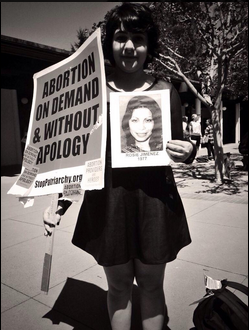 Women speak out in powerful ways about their own experiences with abortion. Below Right: Sunsara Taylor's call to action for a Week of Defiance from the People's Hearing in San Antonio, TX. On September 1st, the state of Texas is on track to close all but six abortion clinics (there were 46 in 2011). Women will be forced to have children against their will. 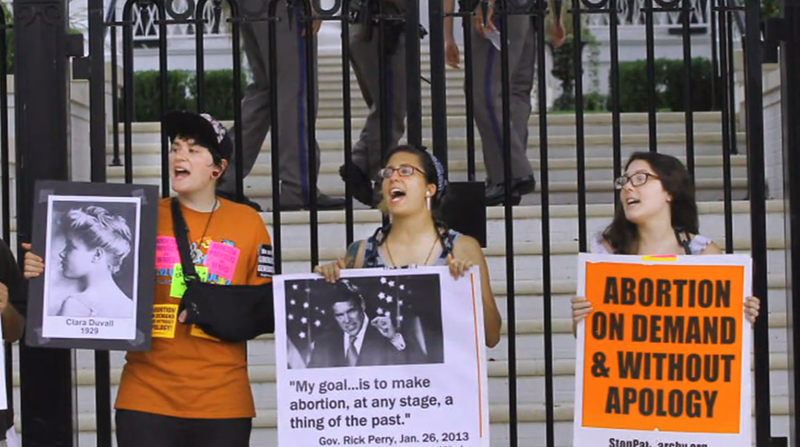 Others will be driven to risk – or lose – their lives through dangerous illegal abortions. This is a critical turning point in a nation-wide emergency: and this is all playing out in a world where women are beaten, shamed, raped, harassed and murdered just for being female. Now is the time for resistance, for refusing to back down in the face of injustice. Now is the time to defend women's lives and women's rights. 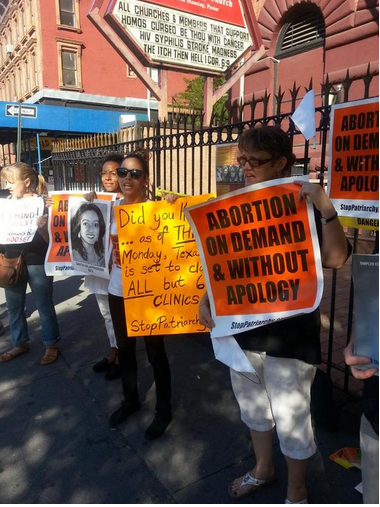 Abortion on Demand and Without Apology. Come to Texas. Take a stand. In Austin: A shifting group of protestors - including Freedom Riders from across the country, people from Texas who had come to People's Hearings in other parts of Texas, and UT Austin students - gathered daily at Gov. Rick Perry's mansion at 1010 Colorado St with a determination to reshape the future. 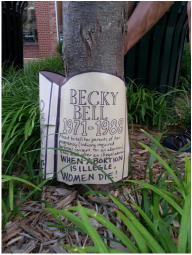 We wielded the names and faces of women who died from illegal abortions, coat hangers with messages attached which indict Rick Perry and tell true abortion stories, and chains to represent the enslavement that exists when women are forced into motherhood against their will. 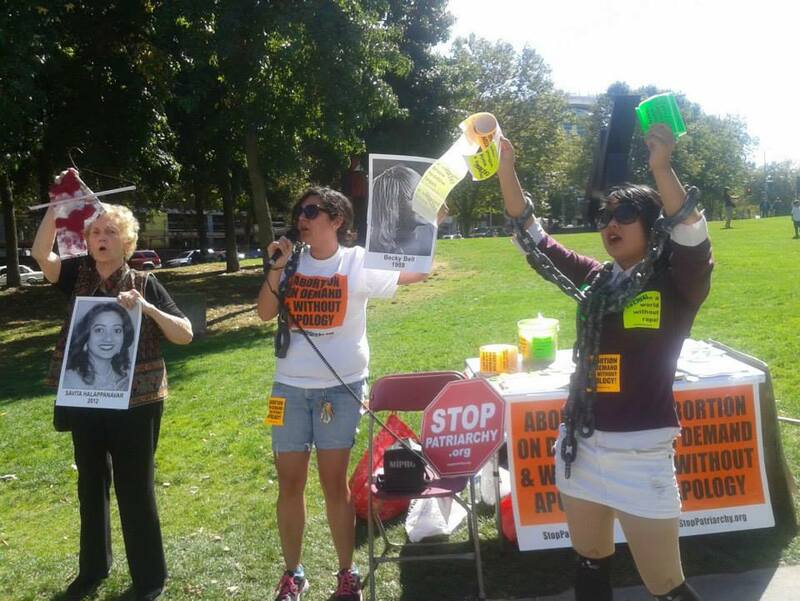 Across the country: People went in public with the names and faces of women who died from illegal abortions, their stories, the Stop Forced Motherhood statement, and brought coat hangers. 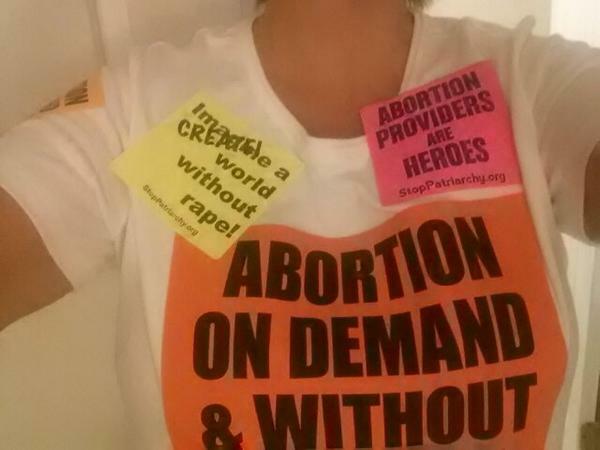 Represent for abortion on demand and without apology! People from California to Mississippi, from Washington to Missouri, from New York to Arkansas, and more, took an unapologetic stand for women's lives at this crucial time. Others sent messages from across the country, for Stop Patriarchy to put on coat hangers and deliver to the Governor's mansion. "My wk of defiance? Speak the truth: work, home, play. No more silence!" "#Mills in #solidarity w/ #AbortionRights Freedom Riders in #ATX. 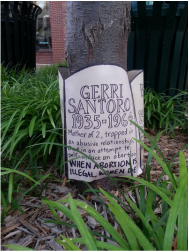 @GovernorPerry #StopForcedMotherhood"
I spent meditative time making gravestones for women who have died from attempts at self-inducing abortion, complications after otherwise illegal abortions, or neglect of medical providers who refused to perform needed abortions. 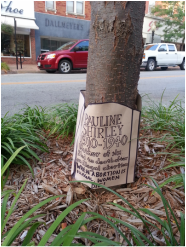 I placed these under the small trees lining the downtown sidewalks. Researching their stories, I learned more about them than I had known before, and I grieved for them all over again. 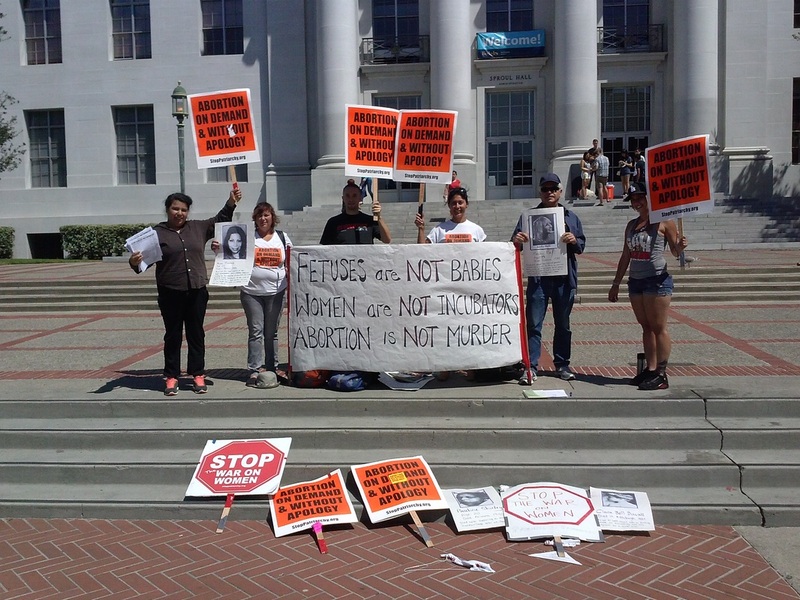 WHEN ABORTION IS ILLEGAL, WOMEN DIE!" Today on the bus, a young woman noticed the buttons on my bag and asked me, "Do you ever walk up High Street?" I replied, "Yeah, sure," and she proceeded to say that "They had gravestones of women around the trees." Shocked, I told her that I had made them. She said that she read every one of them, and that Becky Bell's story made her cry. I told her that Becky's parents work to oppose parental consent laws so that that doesn't happen to anyone else. The young woman also told me that she wrote on one of the hangers but didn't have a way to photograph and text it. When I went downtown to collect the hangers and grave markers, there had been a storm and they had already been removed. I was so touched by the coincidence of her telling me how she had been moved by the grave markers! And now I have the phone number of one more potential activist! It's a red letter day!